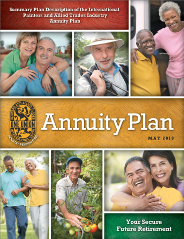 The Trustees of the IUPAT Industry Pension Fund understand that no matter what your age, planning for retirement must be a priority in your life. 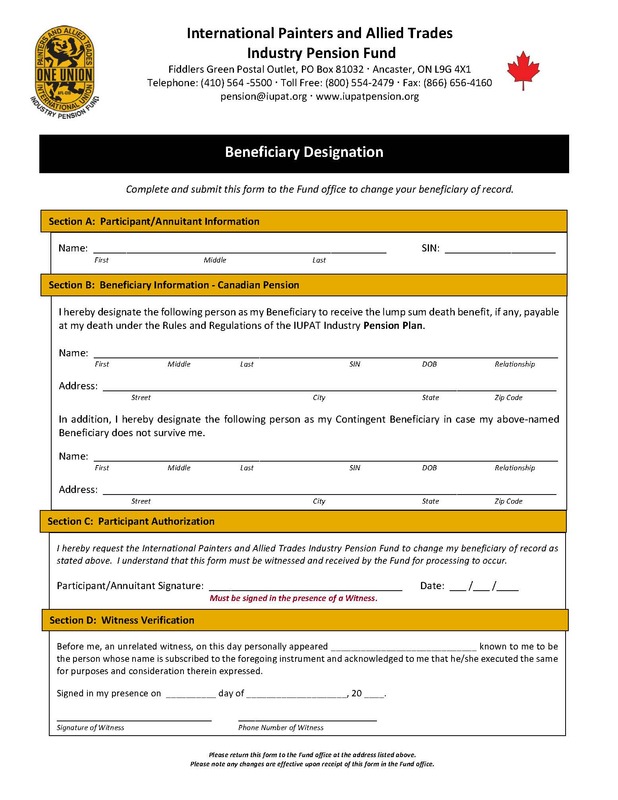 Whether you are looking forward to a well-deserved rest in the next few years, or planning for 25 years down the road, your pension benefit is designed to meet the needs of all IUPAT members. 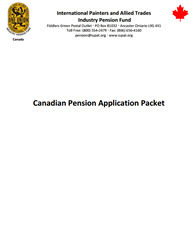 This page will keep you current on what you need to know about your Pension benefit. Check back often for new updates. After a long and rewarding career, many dream of retirement with visions of beachfront properties, early golf tee times, hunting trips, and weekends with the grandkids. However, for many, recognizing this well-earned dream is not merely a matter of reaching a certain age. How can you know if you are ready to retire? WHO do I want to spend my retirement with? Is it important to have friends and family nearby? WHAT financial resources do I need? What will I do with my time? WHY do I want to retire? Is it really time? Am I financially ready? Are my friends and peers retired? WHEN do I want to retire? 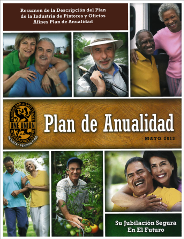 What is my goal age and approximately how long will I be retired? HOW do I want to live my life? Do I plan to maintain my same quality of life? Think you’ve got the answers to these questions? 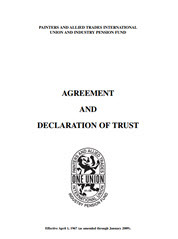 Contact the Fund office to discuss your Pension benefit options! 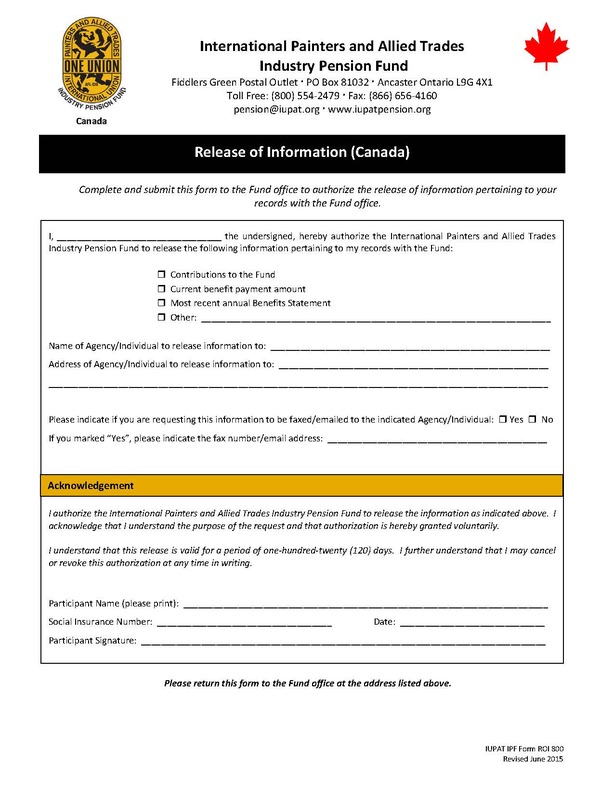 Questions about your Pension, Annuity, beneficiaries, work hours, or other matters related to the Fund? 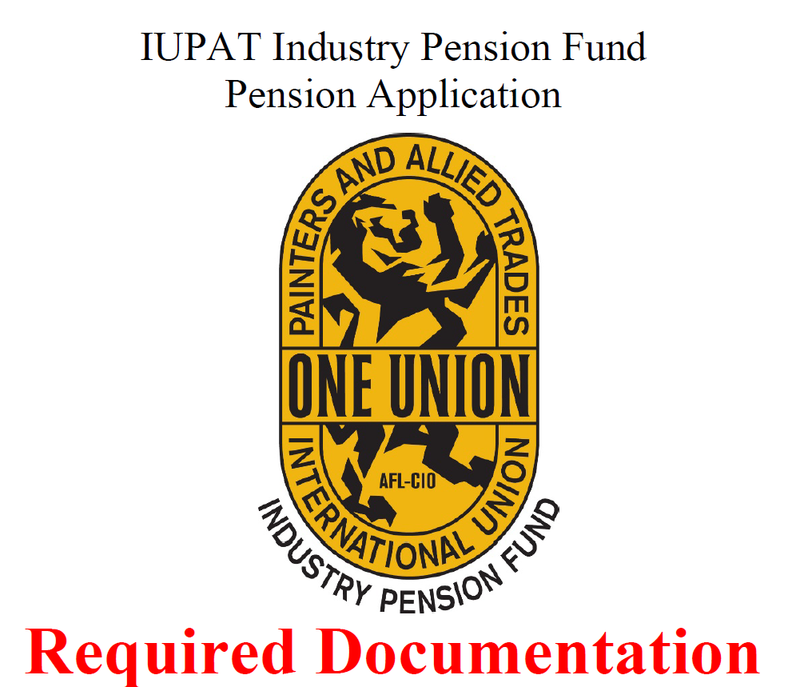 The IUPAT Industry Pension Fund Call Center is ready help you. 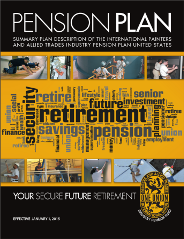 Call us at 1-800-554-2479 or email pension@iupat.org. Thinking about returning to work under a Waiver? 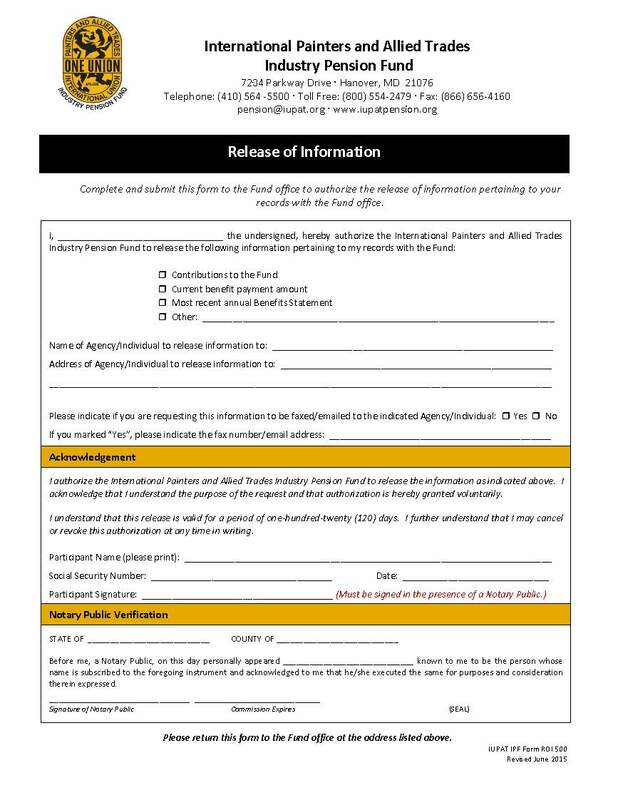 Contact our office at waivers@iupat.org to inquire about the process or request an application. 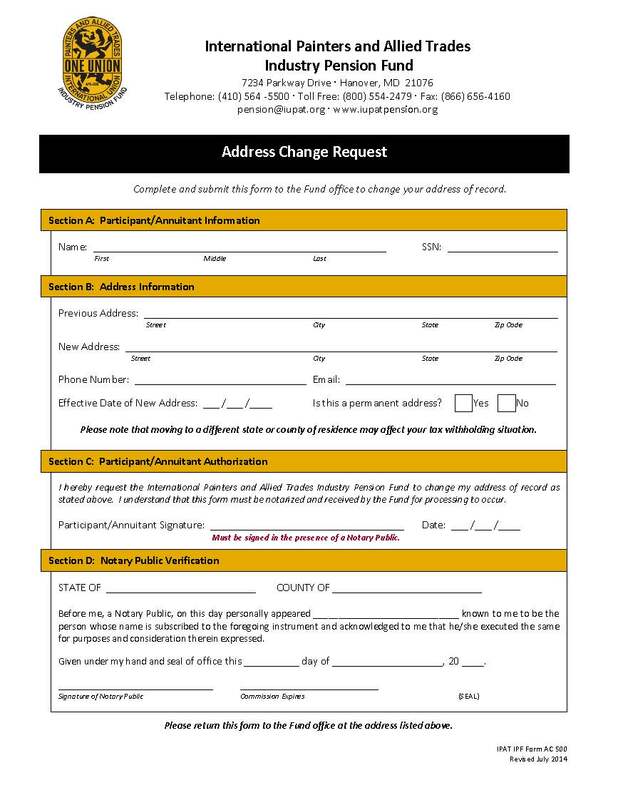 Do you have a question about requesting a Waiver? Check out our Frequently Asked Questions (FAQs) about the application. Determine the status of your application. 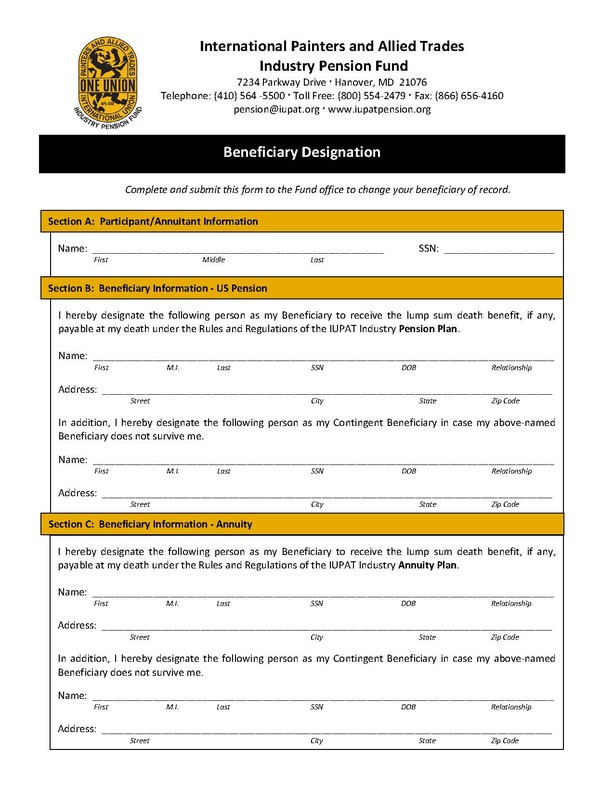 IUPAT members and retirees with Original Medicare (Part A and Part B) coverage can find additional insurance to help limit out-of-pocket costs. With Union Plus Retiree Health Insurance, compare plans in your area and see if you can save on medical expenses such as prescription drugs, doctor visits, vision care and more. Do you have a question about your benefits, your pension application, completing one of our forms or something else related to the Fund office? Click HERE to see if your question is found on our Frequently Asked Questions (FAQs) list. 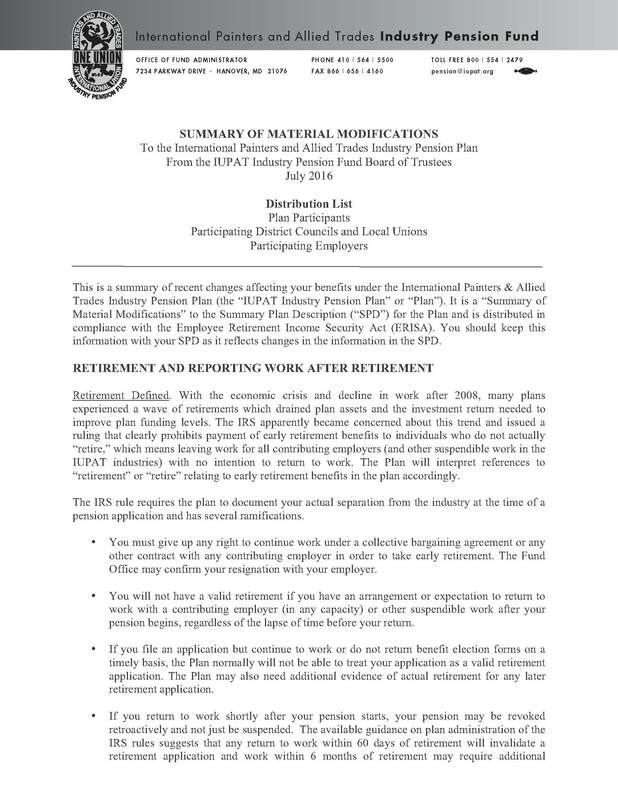 The IUPAT Pension Plan Board of Trustees has continued to practice a diligent and proactive approach to making certain the Pension Plan continues to provide the retirement security each and every participant and pensioner have earned while on the job. 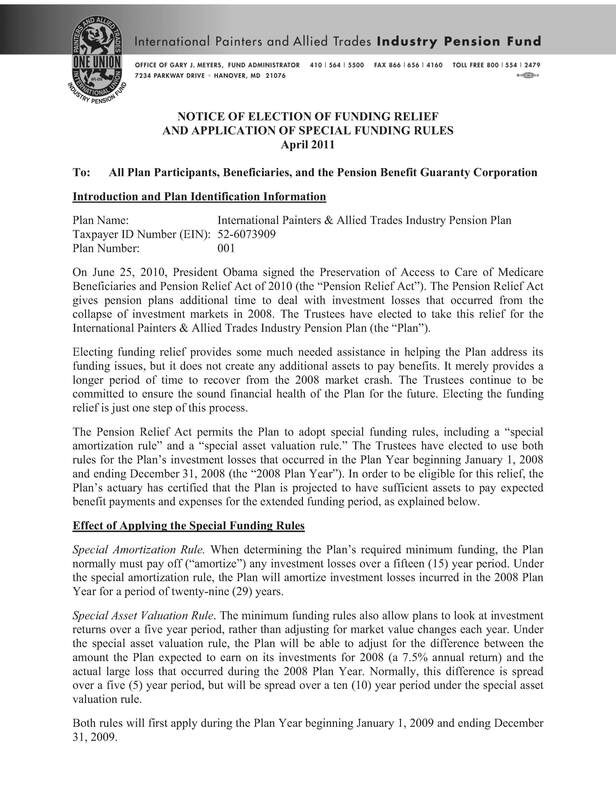 A direct result of that proactive approach was the Funding Improvement Plan (FIP) launched in 2009. 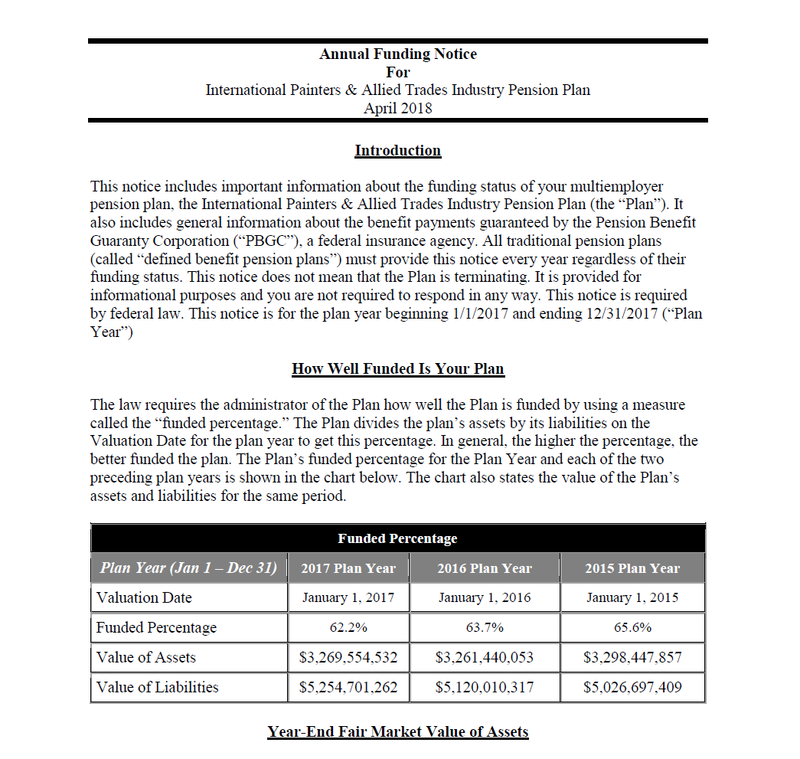 As progress continues to be made in returning the Pension Plan to its pre-recession financial status, the Trustees are introducing modifications to the FIP and Plan design changes, effective January 1, 2018. 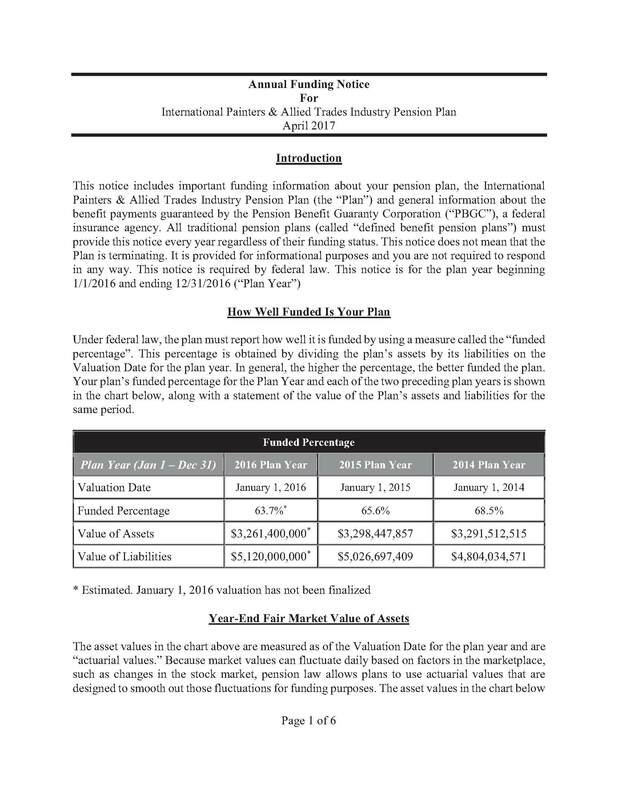 First and foremost: The IUPAT Pension Plan is not reducing your benefit. 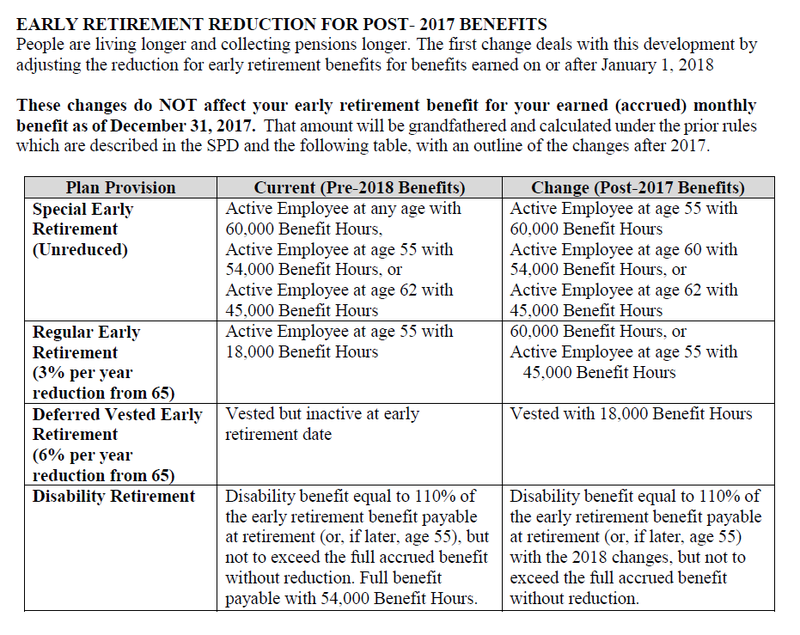 As of January 1, 2018, the rules for special early retirement have changed. 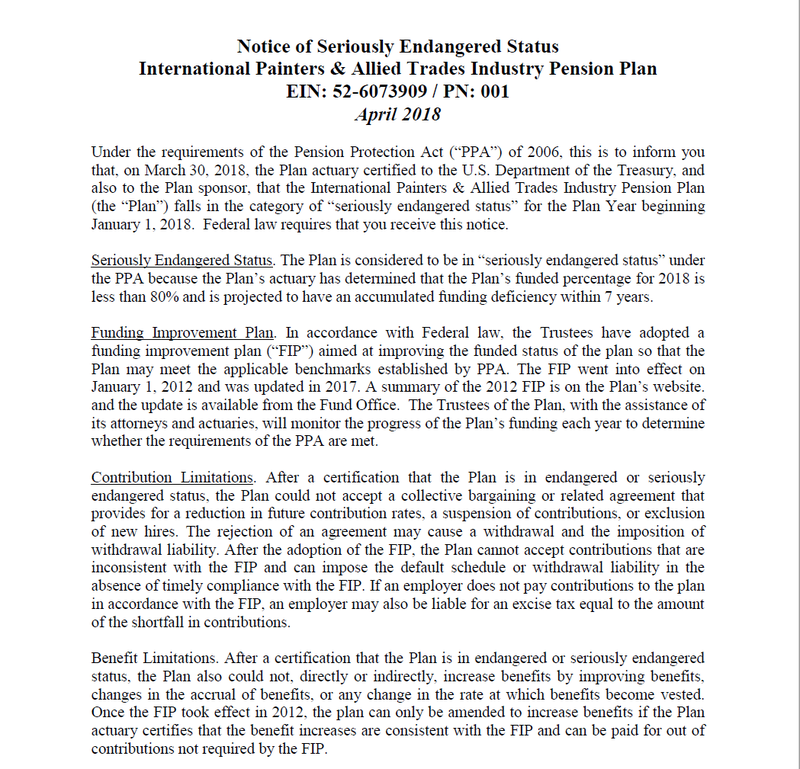 However, the most important thing to know about these changes is that if you were on track to meet a special early retirement threshold under the old rules, your benefit for that piece of your retirement is grandfathered in, meaning you will not take a reduction on that piece of your pension. Your retirement benefit will consist of two separately calculated time-periods at the time you retire. 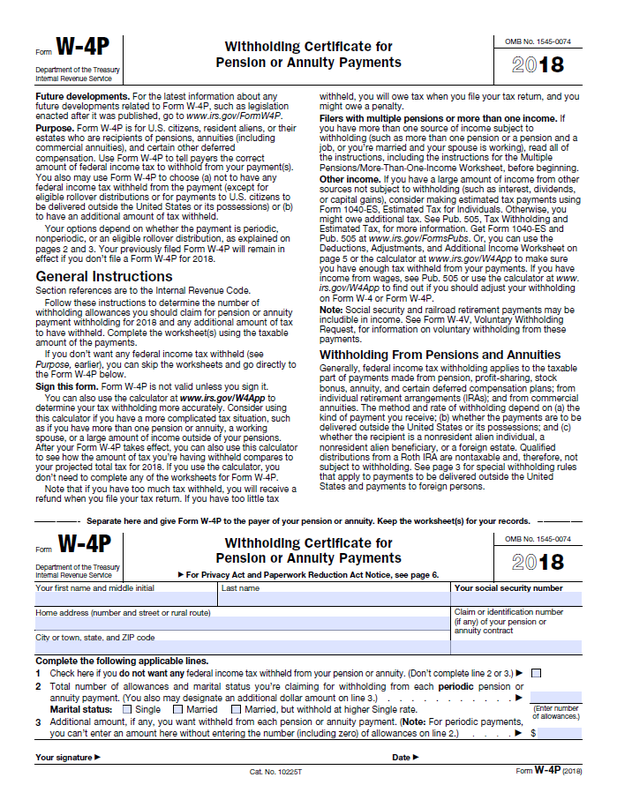 Your benefits accrued through 12/31/2017 will be calculated under the current Plan rules. 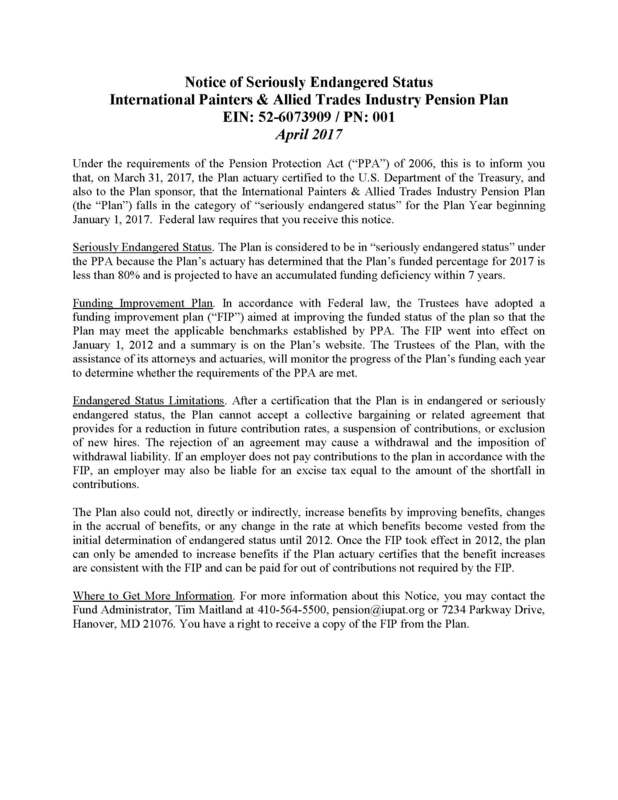 Benefits earned after 1/1/2018 will be calculated under the new Plan rules. 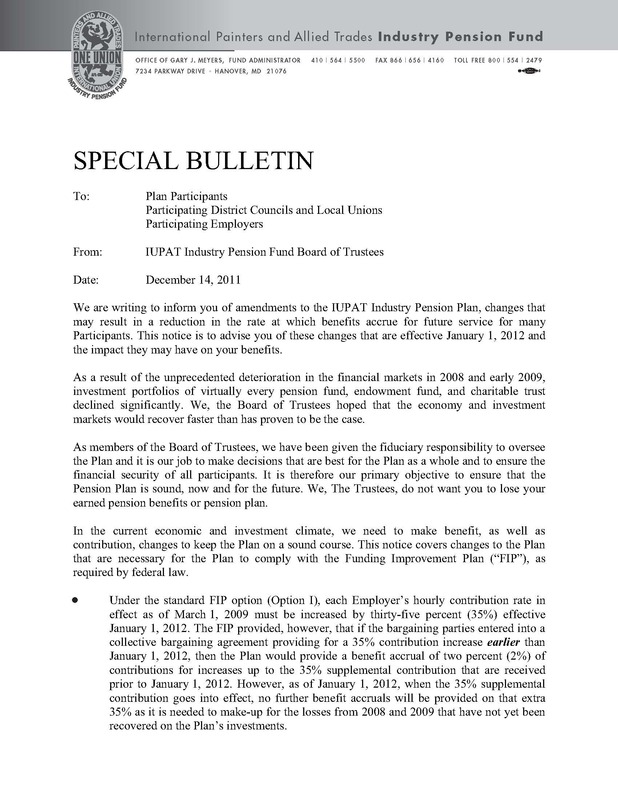 Read more about the IUPAT Pension Plan Updates in our Frequently Asked Questions HERE. Click on one of the videos below to see how this change affects participants in your age range. 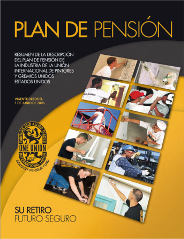 If you would like a personalized retirement projection, please email the Pension Fund offices at Projections@IUPAT.org with the subject line projection. 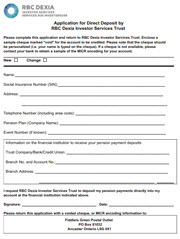 In the body of the email include your name, intended date of retirement, district council/local union number and your date of birth. Kenneth E. Rigmaiden began his career with the International Union of Painters and Allied Trades (IUPAT) upon graduating from California State University in San Jose in 1977. He immediately enrolled in the floor covering apprenticeship training program of Local Union 1288, and received certificates of completion from the IUPAT’s International Joint Apprenticeship Training Fund and the State of California Division of Apprenticeship Standards in 1980. Mr. Rigmaiden remained in San Jose as a floor covering installer, and in the following six years served as an executive board member, a trustee, the vice president and eventually president of Local Union 1288. He also served as an instructor for floor covering installation in Local 1288’s apprenticeship training program. In 1986, Mr. Rigmaiden was elected as Local 1288’s business representative and focused his career on labor relations. His noted accomplishments during his seven-year tenure include administrating a residential collective bargaining agreement which served to recapture market share and the amalgamation of several local unions in his region to form Local Union 12. He was elected business manager for the new Local Union 12 in 1993, and participated in the first region-wide collective bargaining agreement for Northern California. Moreover, he was involved in the merger of several union health and welfare, training and vacation/holiday trust funds and the streamlining of member services for plan participants. Mr. Rigmaiden was selected to serve as a general representative in 1996. His duties in this post included labor management relations, contract administration, grievance and arbitration, organizing, education and training in 18 western states. In 1997, he continued his education by earning a degree in labor studies from the George Meany Center/Antioch University. Shortly thereafter, he was selected to serve as an assistant to the general president with specific duties in national agreements and jurisdiction maintenance. During that time, he served on the National Maintenance Agreement Policy Committee (NMAPC), the General President’s Project Maintenance Agreement Committee and the General President’s Project Review Committee. Mr. Rigmaiden also served as the national project coordinator for the IUPAT Job Corps Program. This position required the oversight of a training program comprised of nearly 60 instructors throughout the United States and administering U.S. Department of Labor contracts of approximately $6 million annually. Mr. Rigmaiden also served as a Director to the United Way. Mr. Rigmaiden was elevated to the position of executive general vice president for the International Union of Painters and Allied Trades in 2002. As the executive general vice president, he was the general administrator of the International’s affairs, assigned tasks to the IUPAT board members and staff and coordinated national union meetings, conferences and the general president’s schedule. 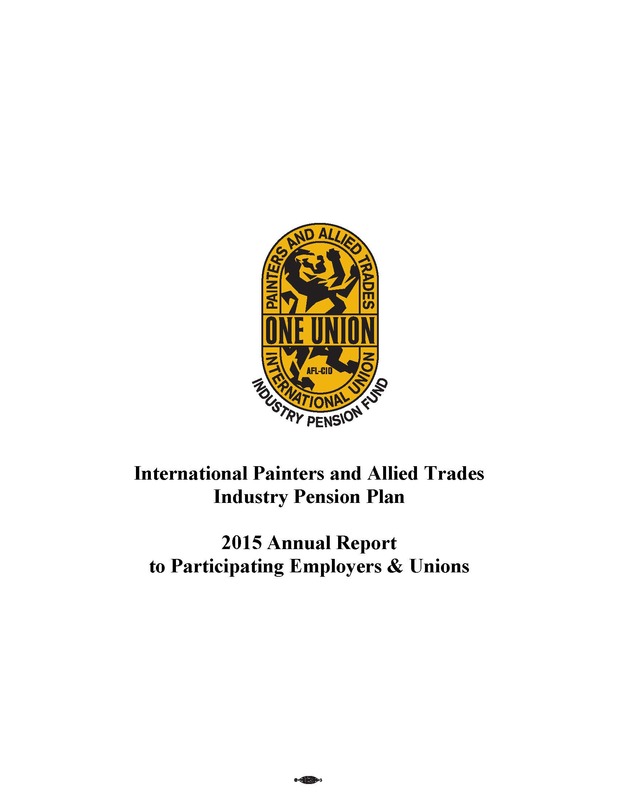 Mr. Rigmaiden was elevated to the position of executive general vice president for the International Union of Painters and Allied Trades in 2002. As the executive general vice president, he was the general administrator of the International’s affairs and assigned tasks to the IUPAT board members and staff. Furthermore, he coordinated national union meetings, conferences and the general president’s schedule. Mr. Rigmaiden co-chairs the Finishing Trades Institute, the Painters and Allied Trades Labor Management Cooperation Initiative and the IUPAT Industry Pension Fund. He serves as a trustee on the AFL-CIO Housing Investment Trust, and a member of the Board of Directors of several AFL-CIO constituency and allied groups. He was unanimously elected to the office of general president by the IUPAT General Executive Board in March 2013. He and his wife Kenya have been married for over thirty years and have two adult children. Aristotle George Aivaliotis began working for the family owned business, Avalotis Painting Company, in 1976 in Pittsburgh. He started his apprenticeship in IUPAT Local Union 530 in Beaver, Pennsylvania in 1977 and continued his training in East Chicago until he returned to Pittsburgh and Avalotis Painting in 1979. He worked as an industrial painter until being promoted to project management in 1986 on the Beaver Valley nuclear plant project. Upon the completion of the new construction phase of that project, he returned to the company’s corporate offices as vice president of operations and administration. In 1992, the company’s founder and Aivaliotis’ father, George, retired as president. Aristotle and his brother Chris assumed the day to day operations of Avalotis Painting Company as president and vice president, respectively. They continue to serve in these positions today. Aivaliotis is married with three children. 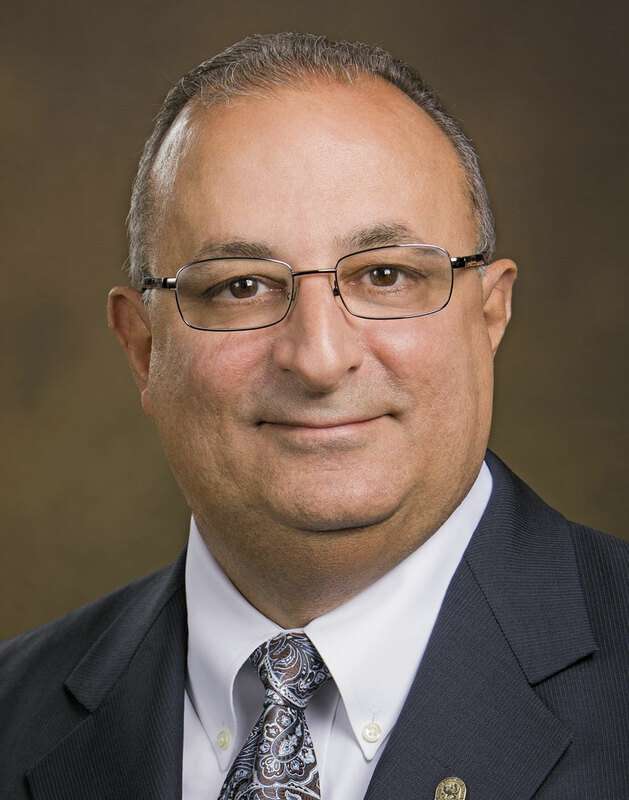 Joseph A. Brescia, Corporate President, Architectural Glass & Aluminum Co., Inc.
Joseph A. Brescia, is the corporate president and chairman to the Board of Directors at Architectural Glass & Aluminum Co., Inc. (AGA). Brescia became corporate president in 1983 after control was purchased, and implemented a program of staff improvement and sales expansion from a base of $1.5 million to the current level of $60 million annually. AGA has been affiliated with the Glaziers since its inception in 1970. Brescia is a licensed B-General Contractor, C-17 Glazing Contractor and C-61 Specialty Contractor in California and is also a licensed glazing contractor in Nevada, Alaska, Texas, Washington and Hawaii. He is active on numerous boards all over California. 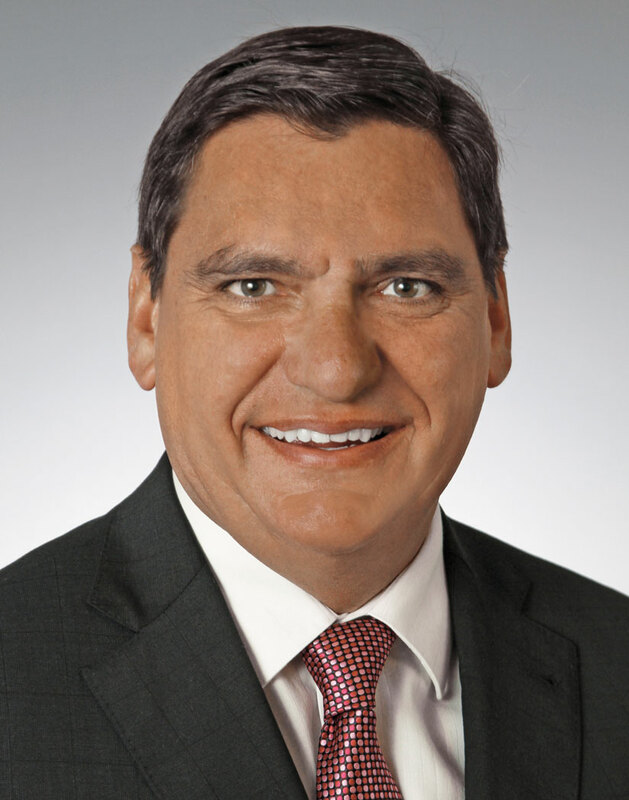 In 1998, Brescia started as a trustee in Northern California and, in 2003, he became involved in the Southern California Pension Fund, serving as one of the steering committee co-chairs in bringing the fund to resolution with the employers, PBGC and IRS. In the last several years, he helped form the negotiating committee for Northern California Glass Management Association (NCGMA). In 1972, Brescia received his B.S. in business and in 1973 received his M.B.A in marketing finance from Bowling Green State University. 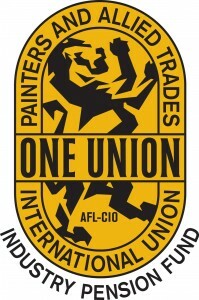 In 1980, William D. (Bill) Candelori, a commercial painter, was initiated into the International Union of Painters and Allied Trades (IUPAT), Local Union 1107, District Council 21 of Philadelphia, Pennsylvania as a journeyman. In 1982, Bill observed an opportunity to get involved with his Union as an active trade unionist and prepared for his first race for an elected office. He was voted in to serve as Warden of a Local Union 1107, as well as a Delegate member to District Council 21. In 1984, he continued his pursuit as a fulltime union activist, and was elected Business Representative to District Council 21. And in 1990, Bill was elected principle officer of the District Council as the Business Manager/Secretary-Treasurer, at that time representing nine local unions. 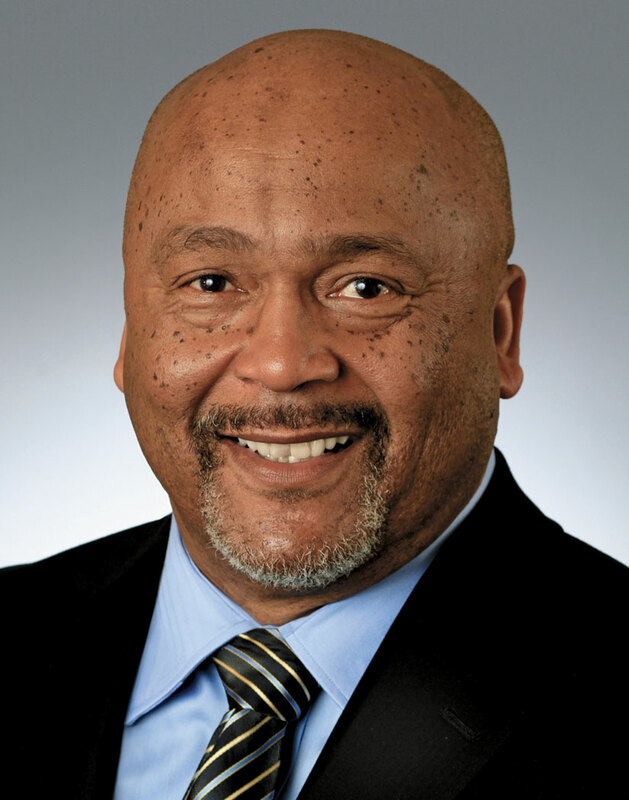 Progressively, Bill’s role expanded to included serving as Vice President to the Philadelphia Building and Construction Trades Council; Vice President of the Philadelphia AFL-CIO; Executive Board member of the Pennsylvania State Building Trades Council. In the mid 1990’s his peers elected him President of the then Pennsylvania State Conference of Painters; and he was also appointed to serve on the Philadelphia Historical Commission. In 1996, he was elected to serve as the first Secretary-Treasurer of the newly formed IUPAT Eastern Regional Conference of Painters and Allied Trades, encompassing twelve District Councils. In 1998, Bill was elected by the General Executive Board of the IUPAT as the General Vice President representing the IUPAT Eastern Region, encompassing eighteen states. This role includes responsibilities in District Council development, membership servicing, training and education; industry and worker advancement, collective bargaining, benefit trust fund management, and Labor/Management relations. 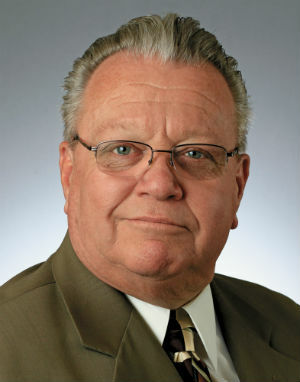 In 1999, at the IUPAT’s 28th Convention, he was elected to his first full term; and by virtue of this office he became the President of the Eastern Regional Conference; and serves on the Board of Trustee for the IUPAT Finishing Trades Institute (FTI), the Labor Management Cooperation Initiative (LMCI), and the IUPAT Industry Pension Fund of the United States. In 2004, Bill continued his education by attending the George Meany Center’s National Labor College, where he received a Bachelor’s of Art degree in Labor Studies. In 2013, while fulfilling his duties as the Eastern Region General Vice President, Bill was selected by the General Executive Board to serve out a remaining term as the Executive General Vice President (EGVP). During this tenure as EGVP, Bill assisted the General President in carrying out and further developing the programs and policies of the IUPAT in organizing, training and education. In 2014, at the 31st General Convention of the IUPAT, Bill was elected to his fourth term as General Vice President serving in the Eastern Region. George Galis was born and raised in the union steel mill town of Monessen, Pennsylvania. He began working for his father’s company, Galis Painting, at age 12. He continued to work as an industrial and commercial painter through high school and eventually joined IUPAT Local Union 327 at age 16. He continued to work as a painter through college and after college. In 1978, Mr. Galis received his B.A. from California University of Pennsylvania, with a degree in Political Science. He continued his career as a painter until 1983 when he was appointed as an organizer for Local Union 6 in Pittsburgh, Pennsylvania. 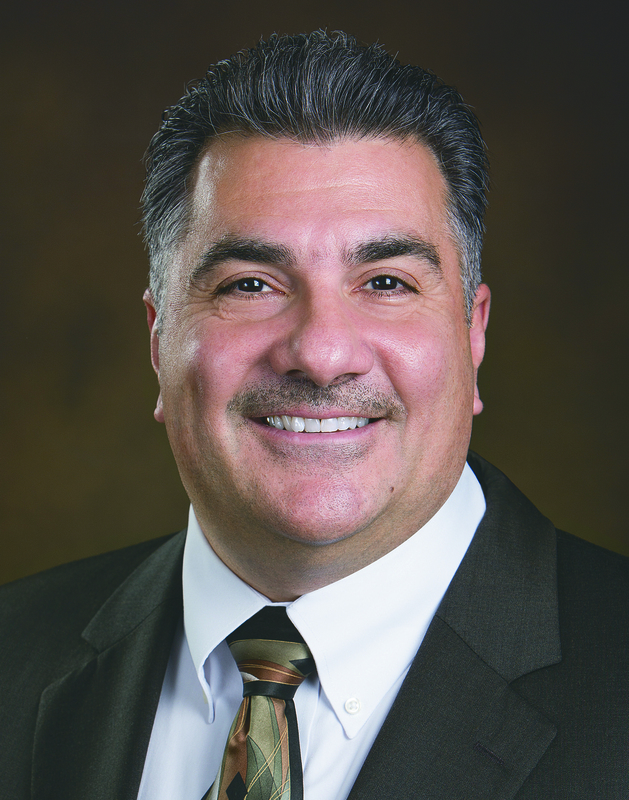 In 1986, Mr. Galis was elected business manager/financial secretary of Local Union 6 and served in that capacity until being appointed as a general representative for the IUPAT in 1993. 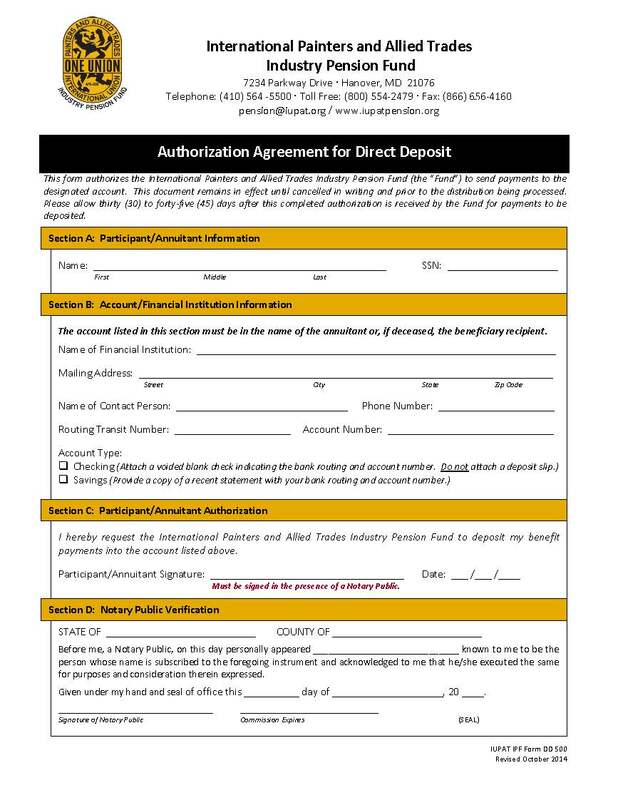 Mr. Galis served as an IUPAT representative until 2002 when he began serving as General Secretary-Treasurer. He was unanimously elected at the 2004 General Convention. As business manager/financial secretary of Local Union 6, Mr. Galis improved the local union by restoring it financially and making it a viable part of the Western Pennsylvania labor movement. He settled 3 collective bargaining agreements with the Western PA employers that included wage and benefit increases and stronger contract language, and did this while avoiding strikes for the first time in 30 years. He also implemented the first market recovery agreement to recapture lost markets. As a general representative, Mr. Galis was among the first IUPAT COMET teachers, personally teaching over 150 COMET classes. He was instrumental in the formation and full affiliation of 3 district councils. He also ran several successful organizing campaigns and led a team of representatives in the Eastern Region in a program called Union Building 96, which laid the foundation for organizing structure and tactics in our district councils. 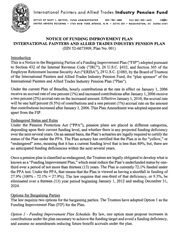 As General Secretary-Treasurer, aside from his constitutional duties, Mr. Galis has served as a trustee for the LMCI, FTI, and the IUPAT Pension Fund. He was instrumental in the creation of the Collective Bargaining Agreement Guidebook, which serves as a model for many IUPAT Collective Bargaining Agreements. He authored the Top Workplace Performance Plan, which serves as an organizing tool and ensures IUPAT members are the best in the industry. He also led the way in developing and running the IUPAT leadership series, which trains new IUPAT leaders. During his career, Mr. Galis graduated from the Harvard University Trade Union Program and received a Bachelor’s Degree from the National Labor College. Mr. Galis and his wife Dana have been married since 1988. They have two sons, Emilio and Zachary. Adolf Gust is the founder and president of Paragon Drywall Contractors, founded in 1973. Born in Poland/Ukraine, Gust immigrated to Canada in 1951. He graduated from Central High School in 1959 and obtained his accounting designation, Certified General Accountant, in 1967. 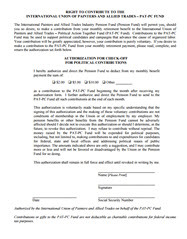 Paragon Drywall Contractors are signatories with Local 1891 of District Council 46, with the labor company being Tempo Insulation and Drywall Contractors, Ltd.
Gust has been a trustee on the pension and welfare fund for more than 20 years, and sits on various committees including the audit, investment and negotiating committees. He is also a director of the Construction Safety Association of Ontario. Jerry Haber is the Chairman of the Board of W & W Glass, LLC. W & W is a family owned business that started as Haber & Henry Inc. and has a 70-year history in the metal and glass industry. W & W is one of the largest metal and glass companies in the New York metropolitan area and the largest supplier of structural glass in the country. Haber, a graduate of Rensselaer Polytechnic Institute, was born into the family business and took over as president in 1963. He is the president of the Window and Plate Glass Dealers Association of New York and is a member of the Board of Governors of the Building Trades Employers Association of New York. 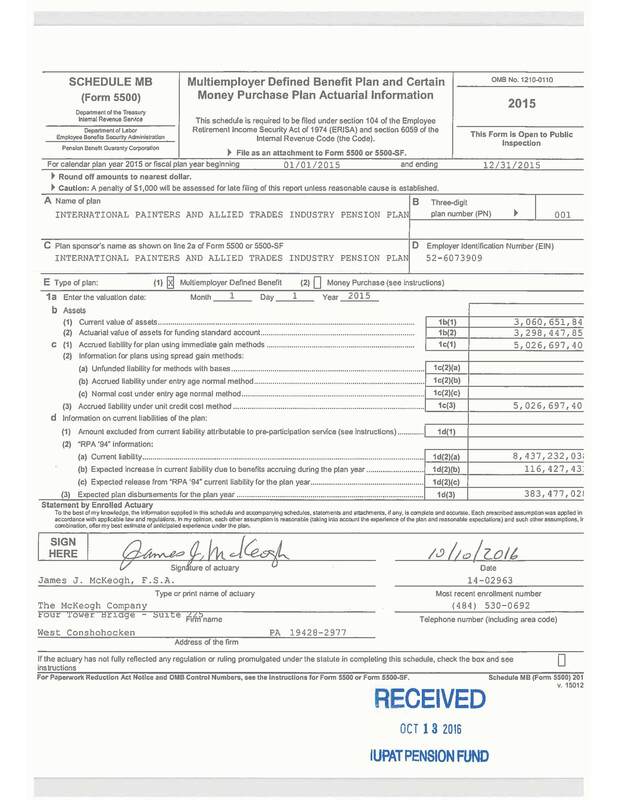 He is a trustee of the DC 9 Welfare and Annuity Funds. Robert was raised in Port Arthur, (now Thunder Bay) Ontario, where he attended York University on a hockey scholarship and earned a Diploma in International Business. Robert first became a member of the IUPAT in April 1985, painting as a summer student at the Port Arthur Ship Building Company in Thunder Bay. It was not until after graduation that Robert became the Business Manager of Local 1671 in Thunder Bay. During this time, he was elected Secretary to the local building trades. He was also a Director with the Superior North Apprenticeship Board. In 2000, Robert and his family located to Caledonia, Ontario where he accepted an Organizer position with Local 205 in Hamilton. In the Fall of 2000, Robert was appointed General President’s Representative (GPR), and attended the Harvard University Trade Union Program in 2001. In 2005, he was appointed General Vice President and in 2009, was elected to that position. Active in many aspects of the industry, Robert serves as a board member of BuildForce Canada (formerly, the Construction Sector Council), as well as an alternate delegate for the General President’s Maintenance Committee. 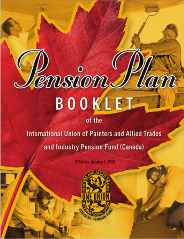 He is a trustee to the Finishing Trades Institute (FTI), the Labor Management Cooperation Initiative (LMCI), the IUPAT Industry Pension Fund, and the IUPAT Industry Pension Fund Canada. 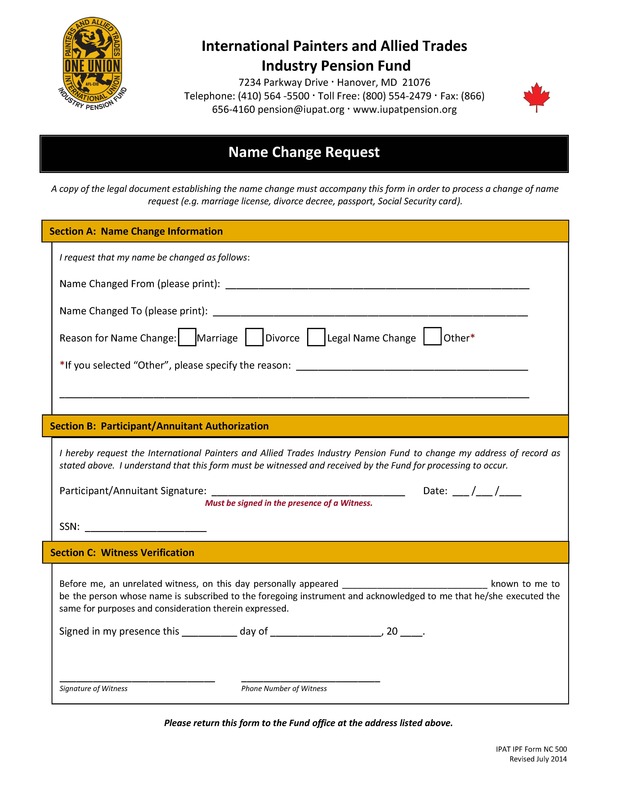 In 2012, Robert was elected as the Chairman of the Executive Board for the Canadian Building Trades. Robert is an active member in his community as a Knight of Columbus. He and his wife Suzanne have been married for 32 years and have two sons. 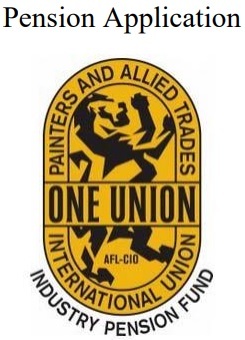 Harry Zell joined the International Union of Painters and Allied Trades (IUPAT) through an organizing drive and became an apprentice glazier in Local Union 1165 (now affiliated with DC 91) in Indianapolis, Indiana. Harry became active in the union; attending meetings and programs as an apprentice. This provided him the opportunity to be an organizer upon becoming a journeyman in 1993. Over the next eight years, Harry continued to remain active as he served as an organizer, officer, instructor and on the IUPAT curriculum committee. He was active in the Local Building Trades and on the area’s Labor-Management board, Top Notch. He also earned a degree from Marshall Community & Technical College. In 2001, the International Union of Painters and Allied Trades hired him as a general organizer. A couple of years later, he was promoted to general president’s representative. He served in that position until October 1, 2012, when he was appointed general vice president. In 2014, Harry was elected to his current position of general vice president assigned to the IUPAT’s central region. He sits on the General Executive Board of the IUPAT and is a Labor trustee on the Finishing Trades Institute (FTI), the Labor Management Cooperation Initiative (LMCI) and the IUPAT Industry Pension Fund. Mark Van Zevern joined the International Union of Painters and Allied Trades as an industrial painter apprentice in Local Union 1176 in San Leandro, California in 1974. Upon completing his apprenticeship, he worked as a painter journey worker at the Mare Island Naval Shipyard in Vallejo, California. He also remained heavily involved in the IUPAT and the organized labor movement. In 1978, he was elected to serve as the secretary treasurer for the Federal Employee Metal Trades Council. Five years later, he was elected as an IUPAT business representative for his local union. In the following years, he also served as an organizer and assistant business manager/secretary-treasurer for District Council 16 based in Livermore, California. Mark has served as a trustee on a number of boards in his career, including the Painters and Allied Trades Labor Management Cooperation Initiative, and the IUPAT Industry Pension Fund. In 2015, he was appointed to serve as general vice president for the IUPAT Western Region. Mark currently resides with his wife in Hayward, California. We are excited to introduce Employer Self Service (ESS) to a pilot group. Please click the following link to access ESS.